Custom Websites for Small Businesses - TVS Internet Marketing, LLC. If you don’t want the limitations of a template-based website and you want a totally unique, custom website designed and developed for your business, then the Custom Website Package is what you want. Not only will you get a website custom designed for your business, but it will be built with a solid SEO foundation so that it actually ranks well in Google and gets traffic! Have Questions About This Package or Ready to Move Forward? If you need a web host, I am an official hosting reseller of a prominent web hosting company located in Chicago, IL. As a hosting reseller I’m basically a wholesaler. I can sell web hosting services “at retail” at any price that I want. I normally sell hosting for $8/month, or $96 per year. With this package you get 6 months of free hosting after your site is officially launched. If you already have a web hosting company or would prefer to set up your own hosting account with another company, that’s perfectly fine. I’ll help you get it all set up. Otherwise, I can handle the web hosting for you and you won’t have to lift a finger. Unlike a template-based website where we tweak an already existing design, I will work with you to have a totally unique and custom designed website created for your business. You aren’t restricted to a template so the design possibilities are endless. You tell me what you want and I have it designed and built for you! And you aren’t restricted to a certain number of revisions either. A lot of companies will restrict the number of design revisions and then will charge you extra for any additional revisions. I don’t operate that way. We’ll go back and forth with you as many times as we have to until we get the design to your exact specifications. I don’t care if it takes one revision or ten. You won’t get charged extra to get your site designed precisely how you want it! The website we design for you will be 100% mobile friendly. It will look great and will be easy to navigate on any mobile device such as tablets, smartphones, and laptops. We build the site so that it automatically “responds” to the size of the device its being viewed on by using what’s called, “responsive design.” The website will literally change its layout automatically to fit the size of the device. For example, on a desktop your website will be the full blown version, but when it’s viewed on a smartphone, it will dramatically change “on the fly” so that everything will fit nicely on the screen and will be easy to read. Instead of having a dedicated mobile website that only looks good on one mobile device – typically a smartphone – your responsive designed website will look great on ANY mobile device! There are also SEO advantages to having a responsive designed website vs a dedicated mobile website, which I can explain when we talk. It’s too complicating to explain here:) Just know that your website will be on the cutting edge of technology. For a lot of companies that design and develop websites for businesses, SEO is an after thought. While I want you to have a professional looking website, delivering a website that is fully optimized for the search engines is equally as important. After all, what good is having a great looking website if nobody can find it? In addition to fully optimizing your website for SEO, the platform I have your website built on, WordPress, is ideal for SEO success. WordPress is built for SEO! Many of the things you need to do to optimize your website for the search engines, WordPress makes it really easy for you to do. For example, you should use meta titles and meta descriptions on your web pages and optimize them for the keywords you want to rank for. Another example is your website should have a XML sitemap that automatically updates as you add new content to your site. WordPress makes it easy to do all of these things. The list goes on and on. If you want all the nitty gritty details on what makes WordPress so SEO-friendly, I’ll gladly explain it to you as we work together on your website. For now, just know that you’re getting a fully optimized website at delivery and you’ll have a platform that will make it easy for you to optimize your content as you add more pages over time. The Starter Package can include as many as 20 pages (home page + 19 interior pages). You’ll need to provide the content for those pages – specifically the text on the pages and any images. However, I will optimize your content for SEO purposes. If you need the content on these pages to be written, I do have a professional writer that we can utilize. I will talk to you about this option and the rates if you need written content. Getting online reviews from your customers is very important for your business for a couple reasons. They are an important ranking factor in local SEO and they can play a critical role in helping convert leads into paying customers! Before anyone even contacts you about your products or services, I can guarantee you they are reading reviews about your business to see what other customers say about you and your service. If they see a lot of positive, glowing reviews, you’re going to get the call! Likewise, if they can’t find any reviews or if they see mostly bad reviews, they probably won’t call you. Like citations, the more online reviews you have the better – both for SEO and for converting leads. Of course the key is not just getting reviews. You want positive reviews! I provide my clients with an advanced online review tool called Reputation Manager that helps them build up their online reviews naturally, while preventing bad reviews from being published online. I offer Reputation Manager to my clients at $19/month but with this package you get access to it for free for 6 months after your website launches. If you want to continue using it after that, it’s just $19/month. A citation is any mention of your business on the Internet. A “full citation” is when your business name, address, and phone number (NAP) is referenced. Now here’s the thing, a citation doesn’t have to have all three things (business name, address, and phone number) and it doesn’t have to include a link to your site either. For example, if a website simply mentions your business name and address, that counts as a citation. We call these partial citations. The type of citation you’re probably most familiar with is a full citation on a business directory. I’m referring to the typical business listing on a directory like Yellow Pages, Yelp, etc. Citations are important because they are a key factor in local search rankings and sometimes can generate leads for your business by themselves. When you create citations for your business there are some sources that send your information to a number of directories. These are called data aggregators. The main data aggregators are Infogroup, Localeze, Factual, and Acxiom. With this package, I submit your business information to these data aggregators. In addition to submitting your business to the data aggregators, I’ll submit your business to 25 of the most important citation sources/directories for your business. Now you may be thinking, “Wait a minute. My business is already listed on a number of directories so I don’t need this.” That might be true but my citation team will double check to make sure you are indeed listed on the top citation sources. We’ll also make sure the NAP (business name, address, phone number) is accurate and consistent with what you have on your website. We also check for duplicates and if we find any, we have them deleted. If you don’t have a listing, we create one. Finally, we make sure all of your citations are claimed/verified (for those sources that provide this option) so that you have full ownership and control of them. The citation process is a such a thorough, and manual process, that it takes roughly 5 weeks to complete. At the end of the process, your business information will have been submitted to the main data aggregators and 25 of the most important citation sources. A website can be built many different ways and on many different platforms. I use WordPress exclusively. WordPress is one of the most widely used platforms used today. In the early days, WordPress was primarily known for blogging but today you’ll find ecommerce sites, membership sites, Fortune 500 websites, and small business websites all using WordPress! The beauty of using WordPress is that it allows you to easily manage the site yourself. If you can use Microsoft Word, you can use WordPress. By the way, there is no connection between Microsoft Word and WordPress. They both just happen to be easy to use and have “Word” in their names:) WordPress is an online platform. What that means is you log into your website online to manage it. As long as you have an Internet connection, you can manage your website from any device and from any location! WordPress is also fantastic for SEO. It’s technically built to be optimized for the search engines and it provides a variety of ways for the “non-SEO professional” to easily SEO their website. For example, you can install a plugin that will tell you if each web page is optimized properly. Another plugin can create an XML sitemap, which is really important for SEO. By the way, a plugin is simply something you can install within WordPress with a click of a button. Once installed, it expands the functionality of your website. I’m getting way ahead of you here but I’ll explain all this in greater detail while your website is being built. The other nice thing about WordPress is that it’s a platform that can grow with you as it can be as simple or complex as you want it to be. You may only need a simple starter website today but one year from now you may need a more complex website. No matter what you need to do, it can be done with WordPress so you’ll never outgrow it! My team will seamlessly design and integrate a blog into your website. This will allow you to easily post regular updates to the blog to improve your rankings and following. And don’t worry if you have no clue how to write and manage a blog, I’ll walk you through it. If you’re not ready for a blog at the time we launch your website, we can hide it temporarily so that when you are ready for one, we can turn it on. Blogging is very important for SEO and for your website visitors. Blogging allows you to easily add content to your website on a regular basis (the search engines love websites that are updated regularly) and your visitors will appreciate having new content to read as well. Even if you only post one new blog post a month, it can pay dividends over the long-term. Case in point, one of my client was averaging just under 500 visitors per month. After a year of regular blogging, his traffic reached as many as 8,000 visitors per month! These add a professional touch to your web presence. Instead of the default blank, generic favicons browsers use, your favicon will be a custom-designed image to make our business and website look more professional. Whether you’re active on one social media channel or several, your website will have icons to all of them so your website visitors can easily follow you on those channels. One of the most important things you can do when it comes to local SEO is keep your “NAP” consistent throughout the Internet – both on your website and other websites. NAP stands for your business Name, Address, and Phone number. You want to keep this information exactly the same across all websites. Ideally, you also want your NAP on every page of your website in a coding markup called Schema. Schema is a specific kind of HTML code that consists of tags that help the search engines easily understand the information you put in those tags. It also allows the search engines to easily display that information in the search results. I will have your NAP placed in the footer of your website in Schema. XML stands for Extensible Markup Language. The XML sitemap is primarily for the search engines. It contains links to all the pages on your website. Because it isn’t meant for humans and primarily for search engines, it doesn’t have any fancy design or anything to it. It’s just a page on your site with a bunch of links. Click here to see the XML sitemap for this website. A XML sitemap makes it easy for the search engines to find and index all the pages on your website. In addition to having a XML sitemap created for your site, I’ll have it submitted to Google and Bing as well to ensure your content is always indexed with the two major search engines! A web page sitemap is a regular web page that also has links to all the pages on your website but it is primarily meant for your visitors. As a result, it does “look fancy” and is structured in such a way that is easy for visitors to navigate. Click here to see the web page sitemap for this website. Notice how different it looks from the XML sitemap? A web page sitemap makes it easy for your users to find all of the content on your website. It also makes it easy for the search engines to find your content as well. 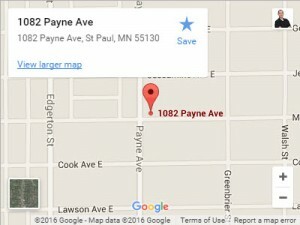 I will make sure you have the correct Google map embedded on your site! Most businesses already have a Google Maps listing but I’ll double check to make sure you do and I’ll make sure that it is claimed and verified by your business. Many businesses have Google Maps listings but they aren’t claimed so they can’t be controlled by the actual business owner! I’ll also make sure your business doesn’t have any duplicate listings either. Duplicates are common and can hurt your rankings so it’s important to get them taken care of. Having a Google Maps listing is important for local businesses because these listings are prominently ranked and displayed on Google when people search for your products and services. 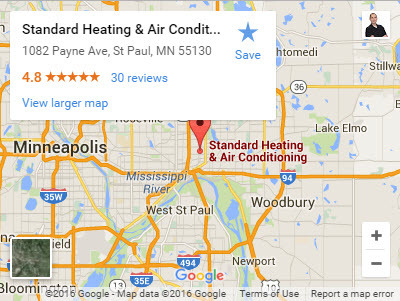 Your maps listing is also where customers can leave you an online review of your business. If you don’t have Google Analytics installed on your website, I’ll be sure it is. With Google Analytics installed, you’ll have access to more data about your website than you ever imagined. You’ll know how many visitors your website is getting, where they come from, how long they stay on your website, what pages they view, and so much more. With this information, you can determine what’s working and what isn’t. I will also show you how to access your Analytics data and how to read the data (and what to look for). Google Search Console is a free web service provided by Google for anyone that has a website. By adding your website to Google Search Console, it allows you to check the indexing status and overall health of your website. Ultimately, it helps you optimize the visibility of your website in Google. For example, if you have broken web pages that you are unaware of, or if Google has difficulty crawling any pages, you’ll be made aware of these issues so you can fix them. If you don’t have a Google Search console account, I will create one for you and I’ll submit your website to it. I will then show you how to access it so you can monitor it periodically to make sure your website is always “healthy” and doing well. As an added bonus, I will create a Bing Webmasters account and submit your site to it as well. Like Google’s service, Bing Webmasters is free and gives you much of the same information. By knowing what the two largest search engines “see” when they crawl your site, you’ll be assured your website is in tip-top shape (technically) and that your content is being indexed in these search engines! Having a Google Maps listing is important for local businesses because these listings are prominently ranked and displayed on Google when people search for your products and services. Your maps listing is also where customers can leave you an online review of your business on Google. Throughout the time we work together on your website, you’ll have unlimited access to me with no additional charges. I’ll be available to answer any questions you have about your website, SEO, PPC, or anything related to your online visibility.